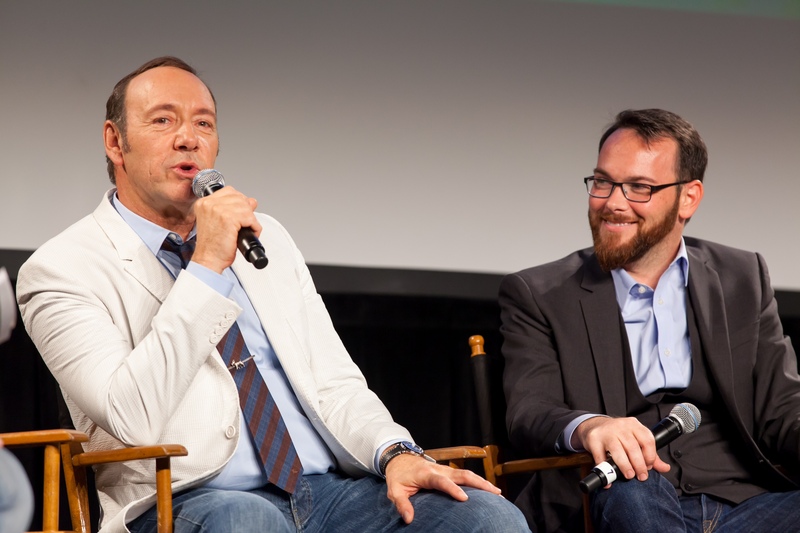 Seventeen years ago a chance meeting between actor Kevin Spacey and Dana Brunetti led to a successful professional collaboration in the movie industry. Today, Brunetti pays the favor forward by giving unknown screenwriters their first shot at filmmaking with Jameson First Shot short film competition. The Brunetti and Spacey partnership formed Triggerstreet Productions, the company that produced Captain Phillips, Shakespeare High, 21, The Social Network and House of Cards. 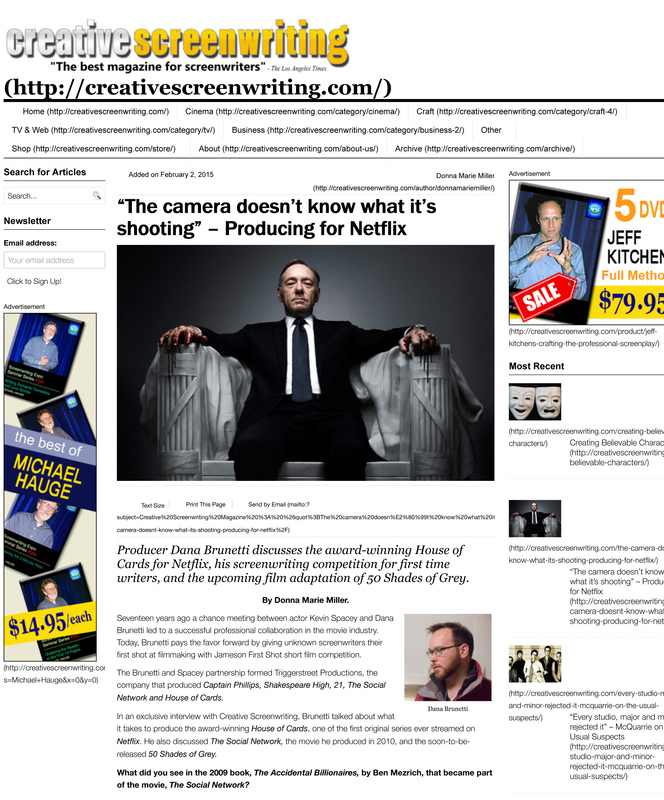 In an exclusive interview with Creative Screenwriting magazine, Brunetti talked about what it takes to produce the award-winning House of Cards, one of the first original series ever streamed on Netflix. He also discussed The Social Network, the movie he produced in 2010, and the soon-to-be-released 50 Shades of Grey. CS: What did you see in the 2009 book, The Accidental Billionaires, by Ben Mezrich, that became part of the movie, The Social Network? 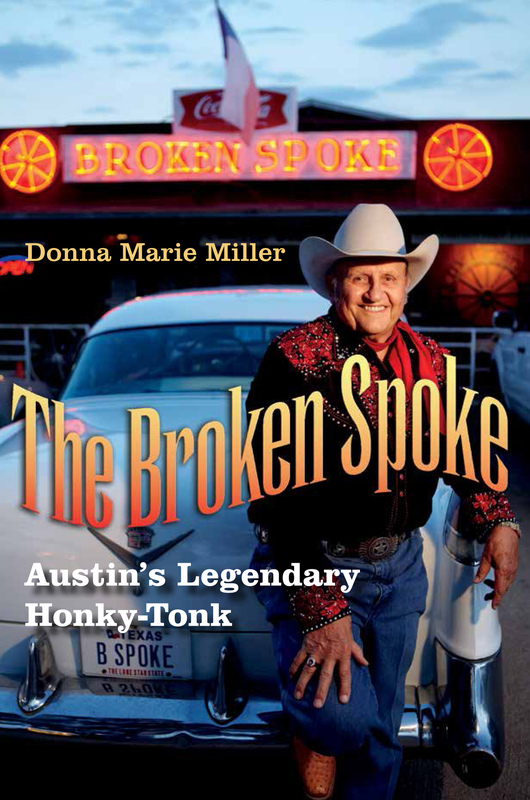 It’s hard to say what part of that book was crucial because we set up the film when it was just a book proposal, a 14-page proposal. It was a weird step away from how that process usually works, whereas Aaron (Sorkin) was writing the screenplay at the same time that the book was being written. So, it’s hard to say what part of the book was crucial to that. I think it was more that we tapped into a bit of a zygote that is both the spirit and the culture of Silicon Valley and its entrepreneurs in general. Mark’s (Zuckerberg, Facebook’s founder) character in that film was such a tragic character, but a successful character that I think a lot of people related to him and just what happens in the world right now. You’re connected to everybody, but just like him in the film, he’s sitting there hitting ‘refresh’ trying to see if the girl who he screwed over – or who he ultimately disappointed, will accept his friend request. Some of that same research was shared with both Aaron and the author. Based just on the book proposal and what the movie could be, Aaron kind of went off and did his own thing with the force of it. 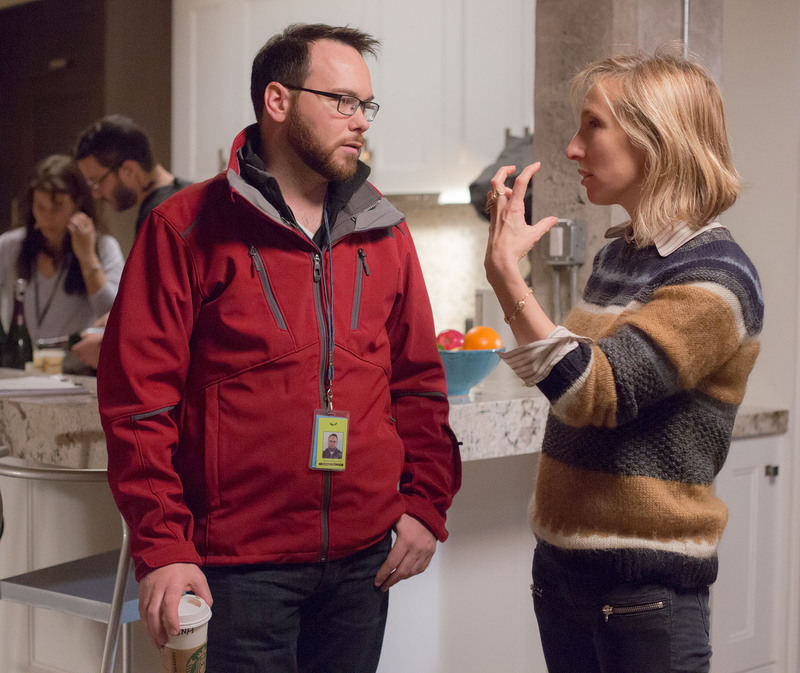 While it’s a lot different as a process, it sort of isn’t either — because sometimes screenwriters will get a book and we’ll get a lot more from it even than the Social Network did from the book. Aaron had enough to go off of with the shared research and it ended up how it ended up, with the best possible result in my opinion. CS: What options do you feel will become more available to screenwriters in terms of writing for Netflix productions? The fact that Netflix now is doing original content, is fantastic for all creators – writers, directors and producers like myself because A) it’s another place to take material to another buyer; it’s always good to have more buyers out there, and B) it’s also good for the audience because they have more options to get their entertainment and content. For writers specifically, I think the real advantage is that Netflix is going to begin to change up the format a little bit. When you don’t have to do commercials and it’s viewed as we do it, in chapters, for release at once, it gives writers the ability to tell the story or the art by episode or chapter or however you want to refer to it and in whatever time you need to tell that bit. Just like a chapter in a book, some chapters may be 30 pages long and some others might be 60 pages. It’s determined by how much it takes to tell that story. What we’ll eventually see in the future may not be what any of the (House of ) Cards or any of the shows that are on now, but Netflix is going to offer whatever a story needs, whether it be chapters or episodes or whatever. Some of those could be 25 minutes or you could see episodes that are an hour and a half, back-to-back as there are no set formats that they have to fit into. I think that could be really exciting for filmmakers obviously, but also for writers because they don’t have to be wedged into a certain number of pages or fit within a specific time period. They will fit whatever format is required to tell the story. CS: I know that screenwriters wrote the entire first Season of House of Cards before you ever began production due to a scheduling conflict with Kevin Spacey. How did the writing for Season 2 change? We went to a more traditional schedule where we tried to get as many episodes written as possible before we went into production, but the production caught up with the writing, so the writing was coming in at the same place that we were ready to begin shooting. In any production, that can be a bit of a problem because it gives everybody in production less time to prepare in advance for it, so it can create some hurdles, but that’s just production in general. When we release, it doesn’t affect anything as far as viewers are concerned. When we release, we release all of the episodes, but within our production schedule, the writing has to be done. The first season, all the episodes were written and ready to go, so we were relaxed a little more. The second and third seasons our production moved pretty quickly, so the writers had to stay on top of it. I would always prefer to have all of the scripts written and available before we start shooting, because then you have more time, more flexibility and more advance preparation, but it doesn’t always work that way. It doesn’t work that way in film either. A lot of times scripts are being rewritten as we’re in production. There are adjustments in every project; there are always adjustments being made as we go along. CS: What if any differences exist between producing a television series to be streamed on the Internet and one to be viewed on network TV? The time frame remains the same, because there are countries that restrict the time within that format now. But like Kevin (Spacey) always says ‘the camera doesn’t know what it’s shooting.’ It doesn’t know whether it’s shooting for a TV screen or a computer screen, and iPad or iPhone. It doesn’t know what it’s shooting for, so we approach it the same exact way. We shoot it the same way we would shoot anything. CS: The Jameson First Shot contest sets seven as the limit for the number of typed pages writers may submit as scripts. How did you come about choosing that limit? Because it’s streaming online for one, we know the format that it’s going to be released in that it has to be pretty short, but also one of the bigger reasons is because when we bring the filmmakers here to L.A., for their shorts they hit the ground running. They go right to casting and then they go right over to production. They only have two days to shoot before the next filmmaker starts to shoot their project. So, basically the limit was set up based more on production limitations and the resources we have. If we started going much longer than that, we wouldn’t have the ability to make a film with the caliber of talent that we get. It’s basically a limitation on our resources. Generally, we would hope that it’s going to be seven minutes or somewhere in that range. We’ve had some shorts that have gone on for over ten minutes, but the story supported that and it kept it going, but generally we shoot for around seven minutes. CS: I understand that you also prefer that writers use a “less is more” approach, or a “lighter touch” when writing their scripts for the Jameson First Shot contest as it is stated on the website. Explain that. Most shorts tend to be dark. The ones that play the most, or the ones that audiences enjoy the most are a little lighter and so we give preference to those. That doesn’t mean that we wouldn’t take one that is a little darker. We have, but also we have to look at from a production standpoint what we’re capable of doing. If there’s something like an action film, with car explosions or races or things like that, unless the filmmaker has a very unique way of doing it within our limitations, that’s generally going to get it booted from the final list. That definitely factors into what we choose, such as what the tone is, what the production requirements are going to be. CS: The Jameson First Shot website provides a script template for writers to download that matches the industry standard; it’s really similar to The Screenwriter’s Bible format. However, the contest criteria sets limits of no more than seven characters for the seven-page scripts. Explain why fewer characters are so crucial. Again, it’s for the production restraints. We want avoid a large cast and having to bring them all in and having to create the short outside of the short time frame that we have. The seven pages and the seven characters and all of the limitations that we put on the writers force them to be more creative. It also really tests their writing abilities by having those parameters. CS: How many screenplays do you plan to produce? We do three every year. We release them online to YouTube video on the Jameson website which gets quite a bit of traffic and gives the filmmakers quite a bit of exposure. I mean they get millions and millions of views. At least the previous ones have. CS: Define “freshness” as a trait for screenwriters. Familiarity is all right. It doesn’t mean that it can’t be similar to an old film, but with a new perspective or a new angle. We want anything that is unique or gets our attention, whether its fresh or new, or old, or a story that we’ve heard a million times, or it could just be their take and their angle on it. Whatever story someone has inside of them that they’re dying to tell is a good way to do it as long as they can do it within the parameters that we’ve set. CS: How will the film Gran Turismo differ from other racing movies that already have been released? What we’re doing is including the series of racing video games as a part of the story. They created an (GT Gran Turismo) Academy, and the creator of the game wanted to see if it was possible to move those gamers from virtual to reality live racing. Gran Turismo created a virtual reality competition online and found 32 of the best gamers of this game and then brought them all together and put them in a head-to-head (Nissan) racecar competition. They sent them to Silverstone Circuit track in the UK and put them through a racing boot camp. They took gamers and turned them into actual racecar drivers. We have taken that idea and we’re going to make a movie based on that. CS: Regarding the upcoming biopic, Life of Evel, starring Channing Tatum as Evel Knievel, how will the movie handle some of Knievel’s life? That’s still in development. That script isn’t done. We’ve had a first draft. We’re still waiting for the next draft to come in. That’s the challenge with any project, particularly with a biopic, you have to decide what part of someone’s life do you take, do you take their entire life or do you take a segment of their life? I think what we’ll do is take a segment of his life and tell that story, but there’s lot of ways of doing it and that’s part of the creative process – figuring out how’s the best way of doing it. Just like the Social Network, it wasn’t a biopic about Mark Zuckerberg, but it was about a small period within time. CS: What issues regarding script changes were required for the adaptation of the book and production of 50 Shades of Grey? It’s the same as any book that you translate. Basically what it boils down to is a love story. When we said we were going to make a movie about Facebook, a lot of people asked ‘Well, how do you make a movie about Facebook?’ We face the same challenges you do with the adaptation of any book being that a book is a theater of the mind. The way you might read a character or read a story might be a lot different than how I or someone else might read it. The challenge lies in just meeting the expectations; there are so many expectations by so many people. That is the biggest challenge really, making a film that you hope that the fans will enjoy. CS: What specific changes did you need to make to 50 Shades of Grey or what notes were given and/or relayed to the costume designer, the set designer, or the director. That’s the case with any project; making a movie is a collaborative process. Working with department heads and getting to that point where they’re all artists in their own way and they all fit into the mold that ultimately is going to make the film. It’s a close representation to the book. It may not be exact, but it’s certainly a very close representation. It wasn’t necessarily changing anything – it was mostly just scaling down what was in the book. We can’t put everything that was in the book into a movie.